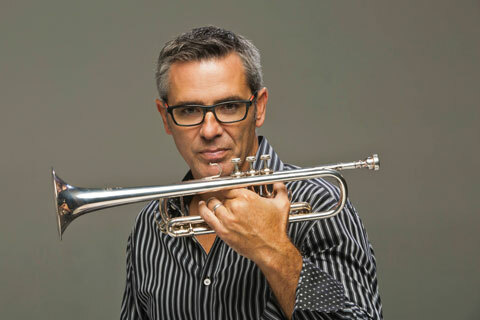 Trumpeter John Daversa wins three Grammy Awards for his American Dreamers album, and Dafnis Prieto takes the prize for Best Latin Jazz Album. 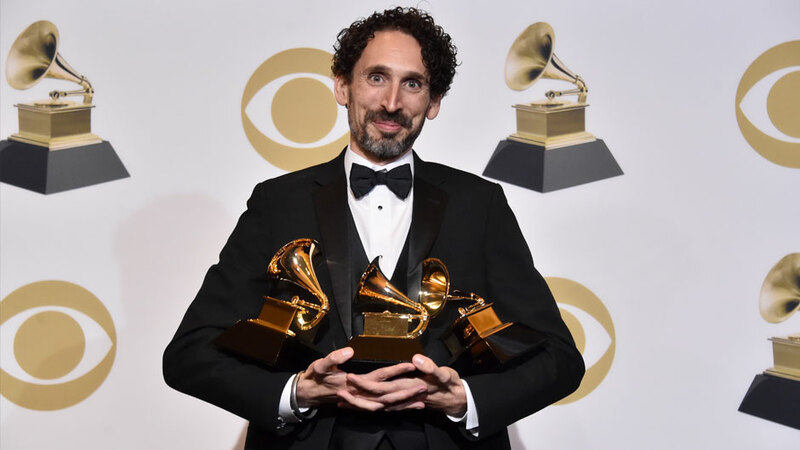 The Frost School of Music’s John Daversa, who believes changing immigration policy is more important than winning awards, shared his deeply personal and timely message on music’s biggest stage Sunday when his ode to dreamers garnered three Grammy Awards. Featuring 53 talented, young, undocumented immigrants from 17 countries who now live in immigration limbo, Daversa’s “American Dreamers: Voices of Hope, Music of Freedom,” won in every category for which it was nominated: Best Large Jazz Ensemble, Best Instrumental Arrangement (on “Stars and Stripes Forever”) and Best Improvised Jazz Solo (on “Don’t Fence Me In”). The chair of the Department of Studio Music and Jazz, Daversa was inspired to use music to humanize the stories—and showcase the talents—of so-called dreamers after the Trump administration’s 2017 decision to end the Deferred Action for Childhood Arrivals, or DACA, program that allowed about 800,000 young adults brought to the U.S. by undocumented parents to remain in the only country most know as home. On each of his three trips to the Grammy stage, Daversa—a composer, arranger, master trumpeter, and big band leader—made sure to share stories of some of the “amazing, courageous human beings” who appear on the American Dreamers CD, and were sitting in the audience. On his final trip on stage, Daversa summoned the dreamers to the stage, reciting their many accomplishments. Among them was Saba, a singer, pianist, and Ph.D. candidate in mathematical biology at Texas Tech University who speaks five languages. On the CD, her spoken-word interlude precedes “Don’t Fence Me In,” the same tune Japanese-Americans interned in camps during World War II sang to their U.S. captors—and the same reimagined song for which Daversa won the Grammy for Best Instrumental Jazz Solo. 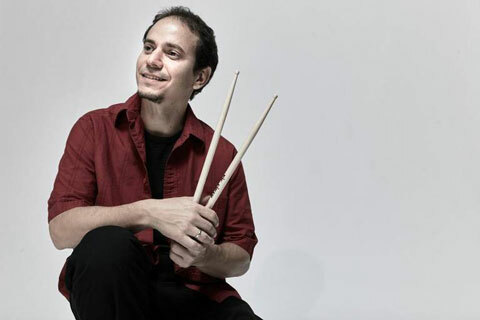 Prieto, who was not at the ceremony, won for his own personal project, which the assistant professor of practice (drums), of studio music and jazz has described as a tribute to the musicians who have inspired him, including UM trumpeter Brian Lynch. “A personal recognition of gratitude,” Prieto has called it. Morris, a Frost School trumpeter extraordinaire, was nominated in the Best Instrumental Classical Performance for “Philip Glass: Three Pieces in The Shape of a Square.” The associate professor of trumpet and chamber music coach did not win—a wind musician has never won the category—but after the Premiere Ceremony host, Shaggy, paid tribute to Morris’ “passion for teaching and bravery of style,” Morris took the stage to perform an abridged version of the nominated piece, which involves playing while moving around the stage in a square. In addition to Cole Porter’s “Don’t Fence Me in” and John Philip Sousa’s “Stars and Stripes Forever,” Daversa’s American Dreamers CD includes six other tunes, ranging from Woody Guthrie’s “Deportee (Plane Wreck at Los Gatos),” to Led Zeppelin’s “Immigrant Song,” and a Daversa original, “All Is One.” In just six weeks, he reimagined and wrote the scores for all nine songs, recording much of the core music at the Frost School with professional musicians, including 17 Frost faculty, students and alumni, who served as the big band. Then he and producers Kabir Sehgal and Doug Davis began a madcap journey around the country to search for DACA recipients who are also accomplished musicians. With the help of internet searches and immigrant advocacy organizations, they found 14 dreamers who played a range of instruments, from the violin and flute to piano and percussion. Another 39 dreamers perform chants, chorus vocals, and percussion.